In our Under the Influence series, we trace the ideas of underground artists, designers, labels, and collectives, and the impact that they’ve had on pop culture as we know it, examining how the revolutionary aesthetics and attitudes of outsiders make their way into the mainstream – and importantly, how much that should be valued and not forgotten. Goldie was quickly assimilated into this harder and faster genre of music, joining his friends every Thursday at Rage then piling back to their flat for afters. Olusanya and Conneely dragged their Binatone and Amstrad Midi-systems into one room, where they practiced mixing their huge bank of records. “That was my introduction,” says Goldie. “They introduced me to absolutely everybody that was making music in the way that I wanted to.” It was here, in the small hours, that he shared his dream for the trio: he would make the music, Kemistry and Storm would DJ, and they would all be united under one iconic drum & bass label. He paid for their first proper set of decks in 1991 off the back of his first EP, The Ajax Project, and set up Metalheadz in 1994. A year later, the Blue Note in Hoxton offered Metalheadz what would become the label’s legendary Sunday night residency, where they pushed a tougher sound to an increasingly international crowd. Goldie became busier when London Records signed him to produce his seminal album Timeless, and in 1995, he asked Kemistry and Storm to help manage the label. DJ Flight is best known in the drum & bass scene for her show The Next Chapter on BBC Radio 1xtra, but she hadn’t even considered DJing when she first encountered Kemistry and Storm. She was transfixed when she caught them at the SW1 Club in Victoria when she was just 17. “I was just staring at them, watching what they were doing,” Flight says. “One of the guys that I was out with came over and said, ‘That will be you in five years time.’” After that, Flight turned up to every gig she could, and with her heroes’ encouragement, created her first two mixtapes. Her big break came one night at Swerve, Fabio’s drum & bass night at The Velvet Rooms, when Kemistry and Storm asked her to make a tape they could give to Goldie. “They said, ‘We want to bring in a new girl into the camp and we think you’re ready,’” she says. 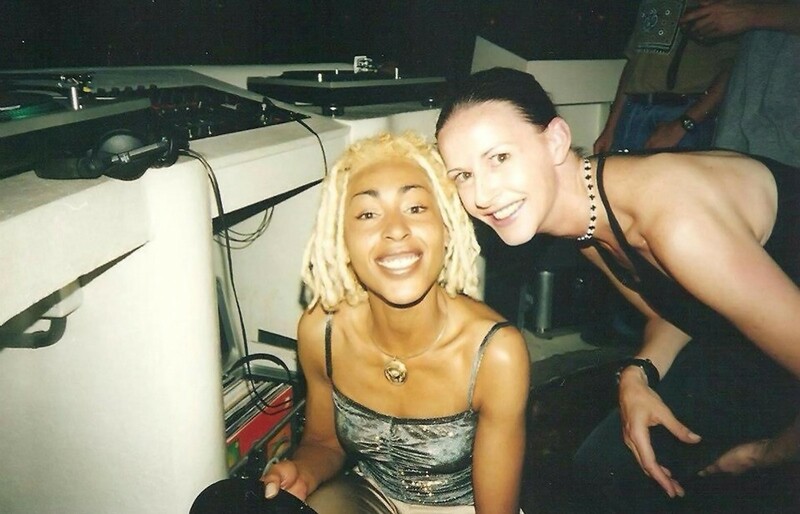 But Kemi died shortly afterwards, and Flight only heard Goldie’s feedback months later when she bumped into him at a Metalheadz night in Camden. “He said, ‘Kemi and Jayne think you’re good. That means you’re good. Let’s give you a go,’” she says. By coincidence, Flight’s first set with Metalheadz was also one of Storm’s first gigs since the accident. At the end of the night, she gifted Flight with Kemistry’s decks. “For women especially, to see somebody like you up there, it’s definitely inspirational,” says Alicia Bauer, aka Alley Cat, who started DJing in San Francisco and now manages her own label named Kokeshi. She met Olusanya and Conneely when she came to support one of their gigs in Germany, and later moved to London where she and Flight both became residents at Feline, a night promoting women in drum & bass that Conneely ran at Herbal in 2007. 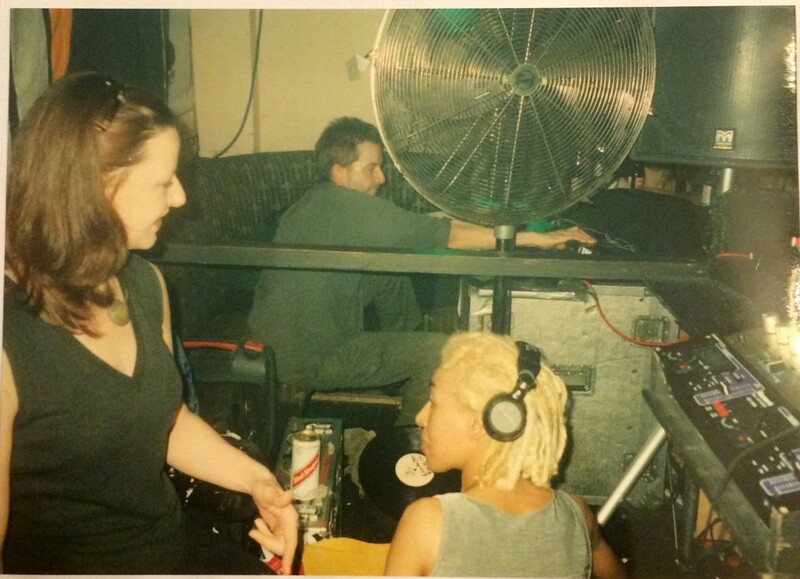 Alongside artists like Miss Pink, Mantra, and MC Chickaboo, they targeted the gender balance in lineups by filling both the upstairs and downstairs with women DJs and helped to create a space that prioritised women ravers in a male-dominated scene. “The great thing about it is that a lot of girls came out to our night, so it got skewed more toward the female audience,” says Alley Cat. 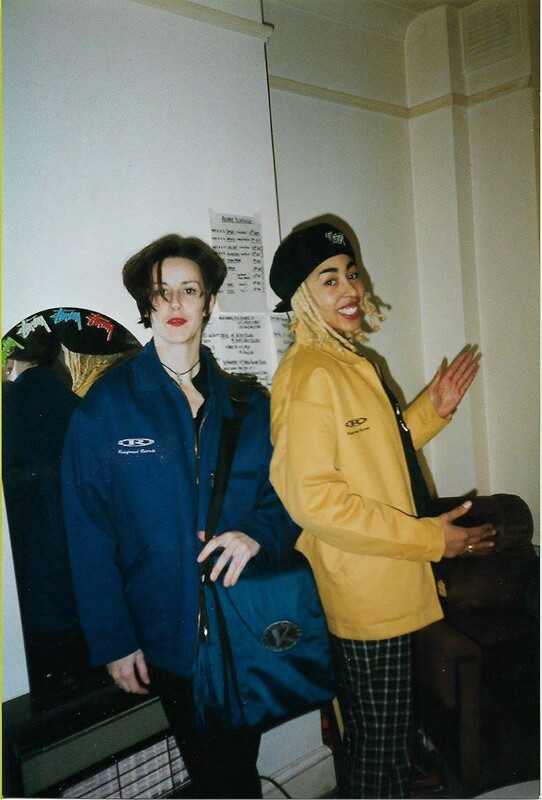 Kemistry and Storm styled themselves as one singular DJ, each retaining their own distinct style while sharing a box of vinyl between them – Storm was known for her deep, growling tunes, while Kemistry favoured more off-kilter sounds. Ordinarily they split their sets down the middle and they took turns to start or finish, but the DJ-Kicks album led them to create a more integrated mix. “We wanted as many artists that we cared about as possible to be on this album, so we had to break it down differently,” says Conneely. “I think that was a real true idea of how Kemistry and Storm work together.